I’ve recently been searching for tools I can use to make calculating payroll at my small business easier and less time-consuming. Recently, it feels like I’ve been spending 10s of hours doing something that should only take me one or two. I was honestly having trouble finding solutions; everything I could find suggested that I pay a professional, but that comes at a high cost I can’t afford. 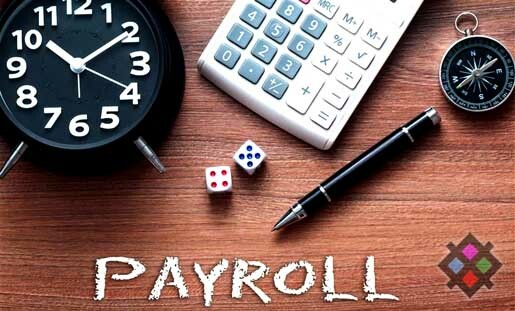 That’s when I came across a website called AppGrooves that has a list of the best 10 apps for calculating payroll. At first, I was a bit suspicious - but I’ve been so blown away by how effective they’ve been that I knew I needed to introduce you to some of my favorites so you can make your own choices. I’ve cut down the time I’ve spent doing payroll by more than half and, to top it all off, my numbers are more accurate too. I decided to include a short review of my favorite three apps, the ones I go back to again and again, in the hopes that they will also be able to make your life easier. Paycom is incredibly helpful because it lets you access employee data whenever and wherever you need to. That includes both past and present pay stubs, performance reviews, tax returns, and benefits. Not only that, but your employees can also clock their time and submit for approval. Plus, if an employee needs to request time off for a vacation or medical appointments, he or she can do so right from the app. There’s even an option to track your business mileage and store copies of your receipts. The only downside to this app is that there really aren’t any shortcuts you can use to access the features you use most. If that’s something that is really important to you, you may want to look for a different app. However, personally, I don’t find it to be a deal-breaker. SEE ALSO: Why Should Use Android App To Sneak Into Someone’s Phone? I’m a small business owner myself, so what I really love about On the Clock is that it can be used for any sized business from 2 employees to 200. The simple overall design and interface make it easy to use, regardless of the size of the team or the supervisor’s experience with payroll software. You have the ability to set IP & device restrictions which lets you prevent employees from punching into shifts for coworkers. There’s also an additional fingerprint requirement as an added measure of security. And, with live status reports, you’ll know who is clocked in and where each employee is currently located. In some cases - especially if you’re like me and your eyesight isn’t the greatest - you might wish you could read employee reports on a larger screen. Sometimes I do have trouble reading the smaller print on the On the Clock interface, so if this is something that could hinder your productivity, make sure to keep it in mind. I love the efficiency of Calculate Work hours because it allows you to simply log in at work and log out once you’re finished your job; it makes tracking the total number of hours you’ve worked so much easier. You can also add notes and reminders about certain shifts, days, or schedules in order to keep all your information in one place. I find this app to be especially helpful if you happen to do different jobs or need to track payroll things like travel time because you can make notes on your timesheet and keep things separate when they need to be. There is not a designated place on the app where you can take note of your breaks, so that does mean you’ll have to make those calculations on your own. It’s the one major thing this app is missing, in my opinion. I’m so thrilled that I ended up finding these apps and I can only hope that they’ll be just as helpful for you as they are for me. Whether you’re the head of your own small business or you’re just trying to keep track of payments in your personal finances, I think these apps will really be a help. Anderson Alia is a great writer and internet blogger.